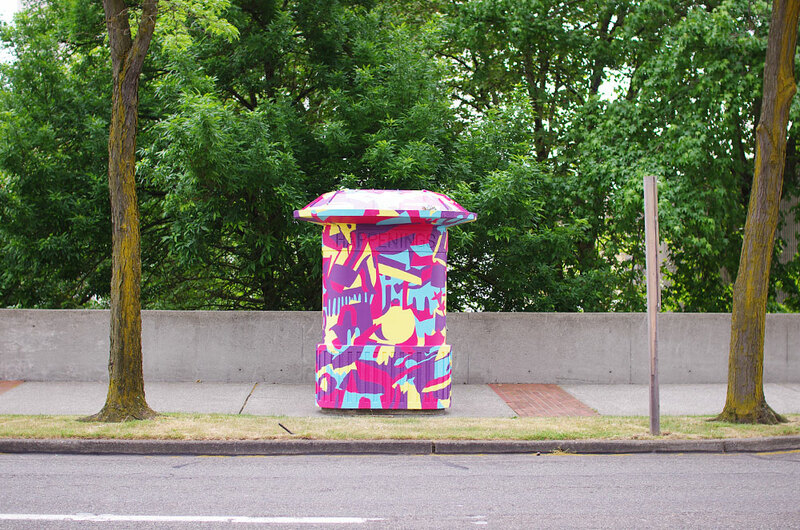 A new Artscape has been added to Spaceworks’ list of temporary art installations, and Year Round Co. is glad to be the first to liven up the space—a concrete kiosk on Market St just south of S 13th in downtown Tacoma. 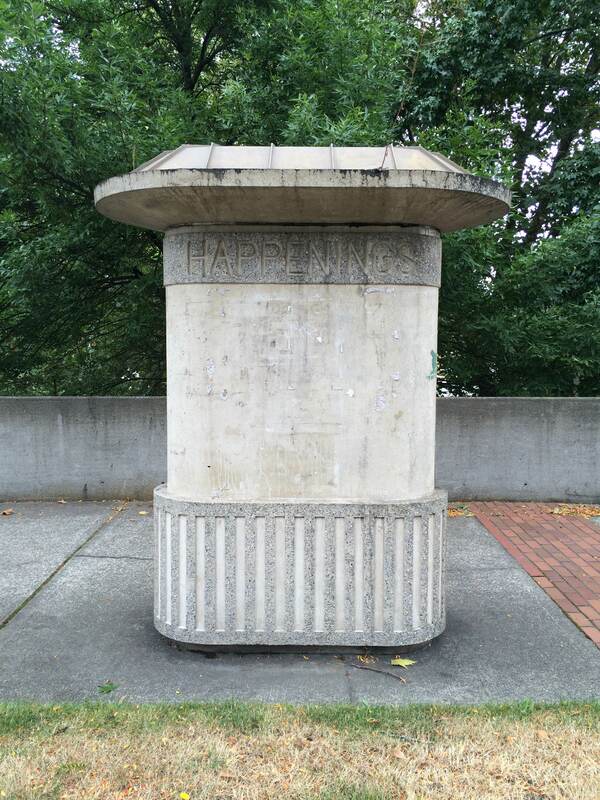 Estimated to have been installed around the 1950s, the kiosk is one of several around Tacoma that is inscribed with the word “Happenings”—but nothing much had been happening there lately. In an article about the mural installation on the Year Round Co. website, the artists say that many of the people who walk by the kiosk every day to or from work had never even noticed it. That all changed when they saw Year Round Co. transforming the kiosk from wallflower to eye-catcher. 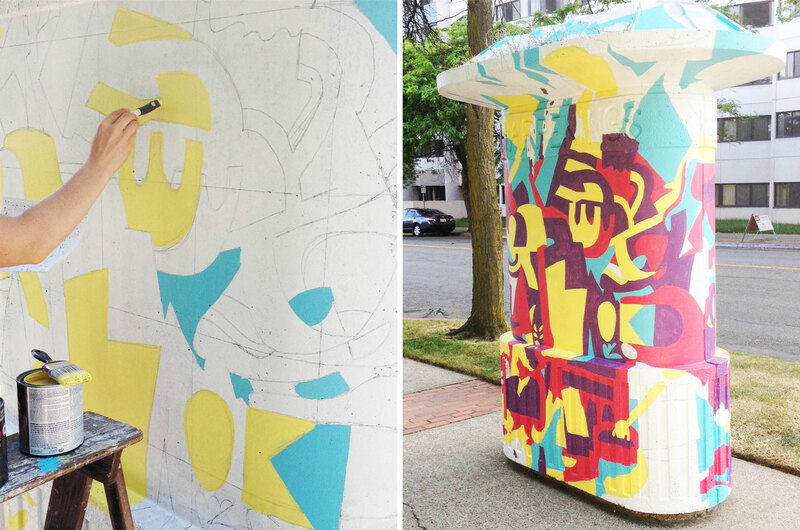 … the transformation in action… / Photo by Year Round Co.
Next time you’re downtown, remember to check out the transformed kiosk. Year Round Co.’s mural will remain on it through May 2016, at which point another artist’s work will make the space new again. 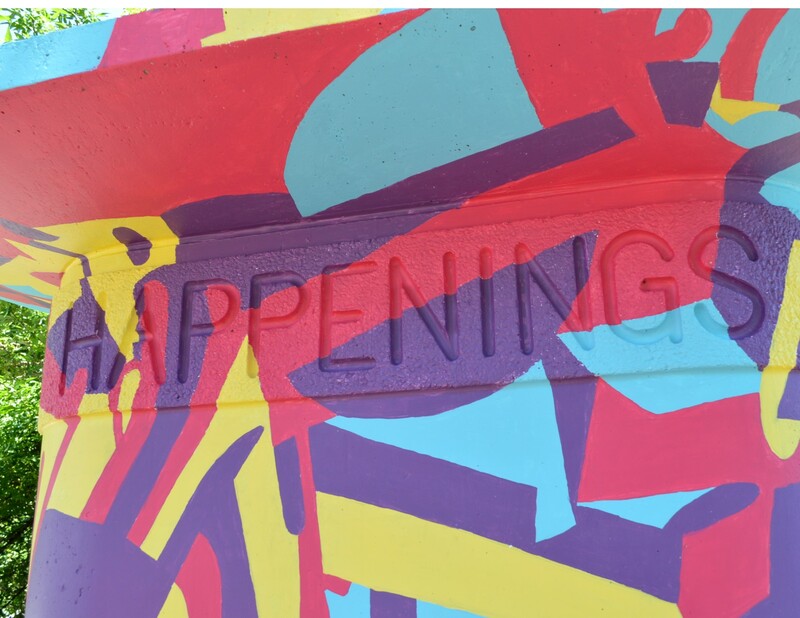 If you’re interested in applying to a future round of Artscapes, review the application guidelines and sign up for Spaceworks’ enewsletter to stay up-to-date on calls for applicants. 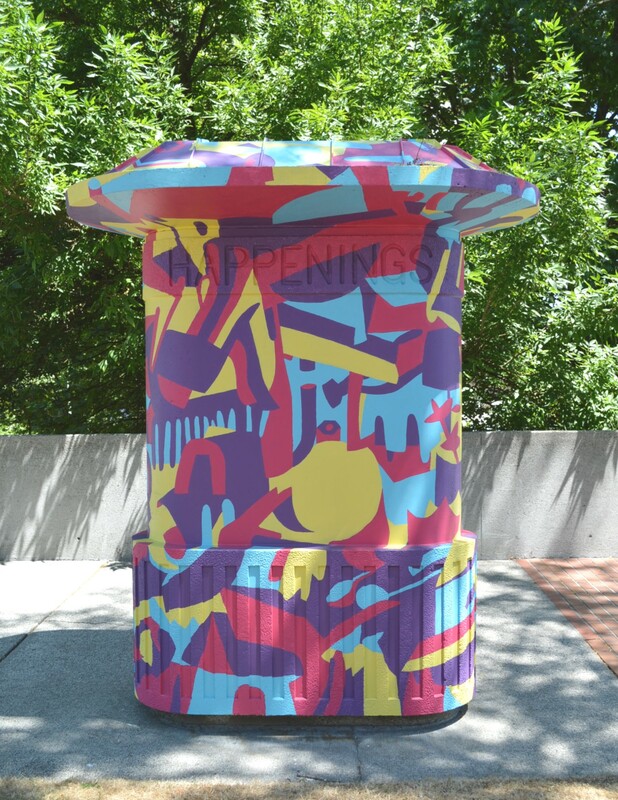 “[P]eople don’t engage in their surrounds until art is placed there.” –Year Round Co. / Photo by Year Round Co.
Do you know the history of these and other “Happenings” kiosks around town? We’d love to hear about it. Let us know on the Spaceworks’ Facebook page. Posted in Blog PostTagged Artscapes, Spaceworks, Spaceworks Tacoma, Year Round Co.